De Dukaat is a 400-metre-long complex located on Pieter Callandlaan, the main axis through the new housing district of De Aker in Amsterdam West. One of the amenities embedded in the district is the Horizon Dalton School. 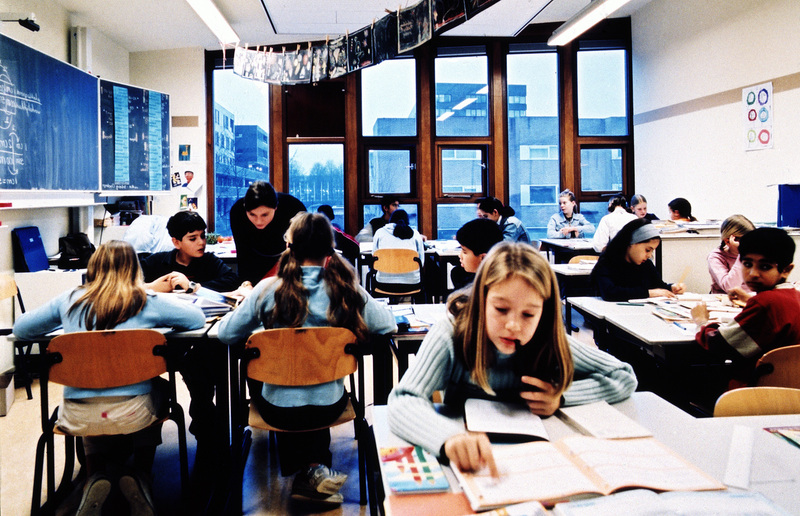 With more than 550 pupils and 24 classrooms, this is one of the biggest primary schools in Amsterdam. 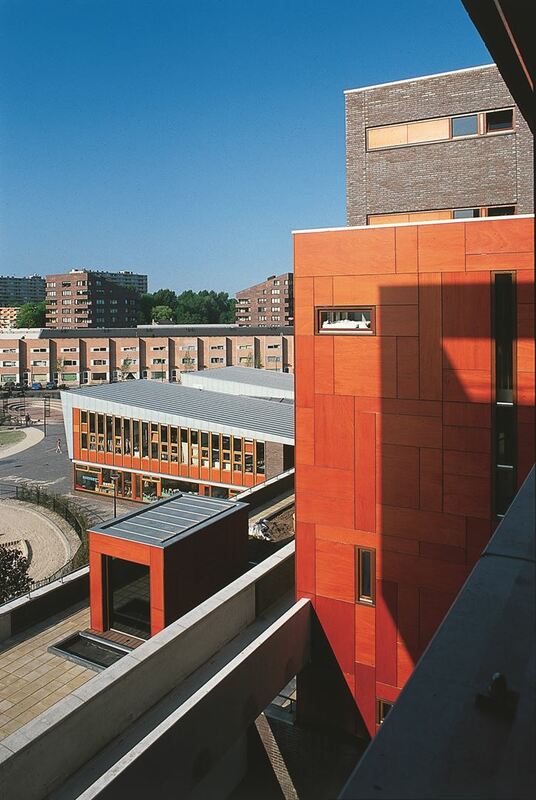 The two-level block forms a smooth transition from the large complex of amenities to the neighbourhood behind. Containing various entrances, the complex is broken down into a number of volumes to create a comprehensible and recognizable scale. 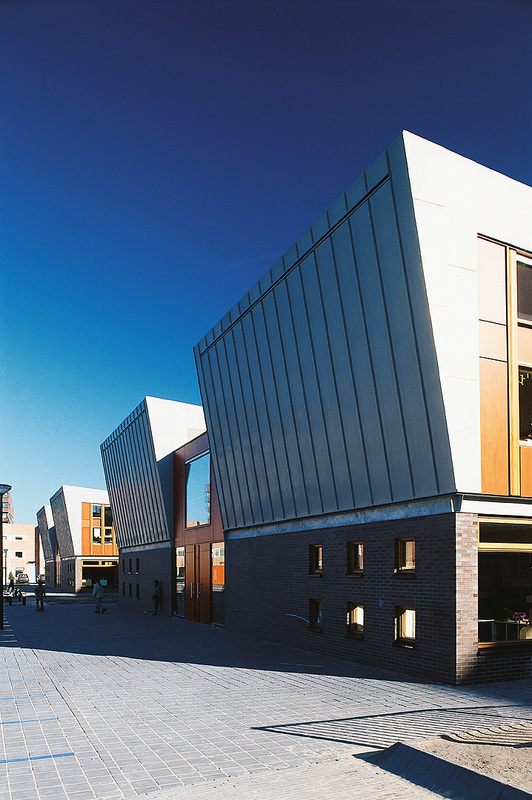 Two of these volumes each contain twelve classrooms, arranged on two levels. 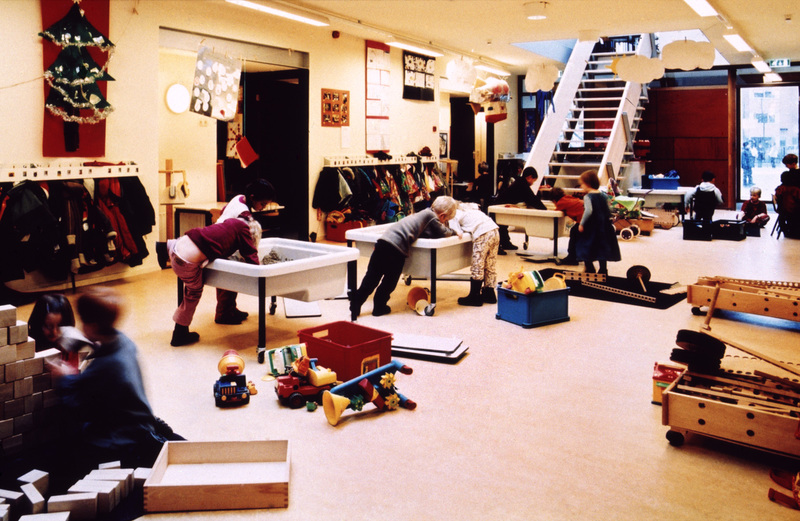 The classrooms are separated by a central learning space around a void, resulting in small-scale spatial units that offer a sense of comfort and security that harmonizes with the world of children. 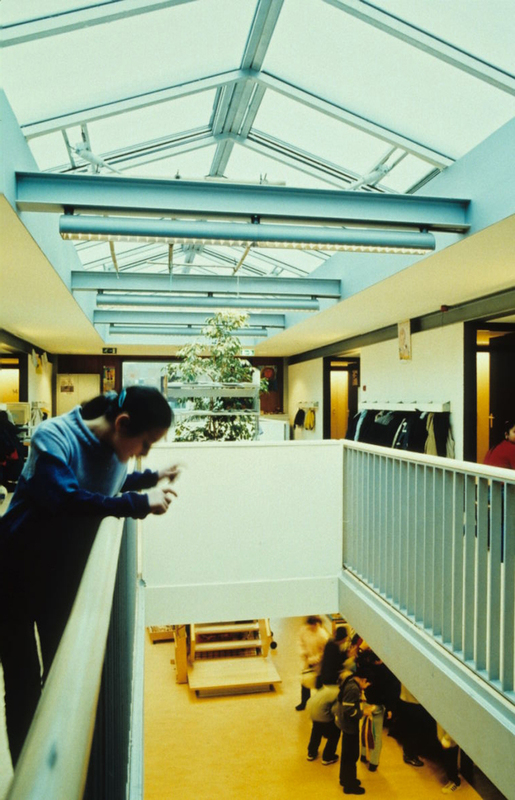 Horizontal and vertical connections between the spaces of the school enhance the sense of liveliness inside the complex. 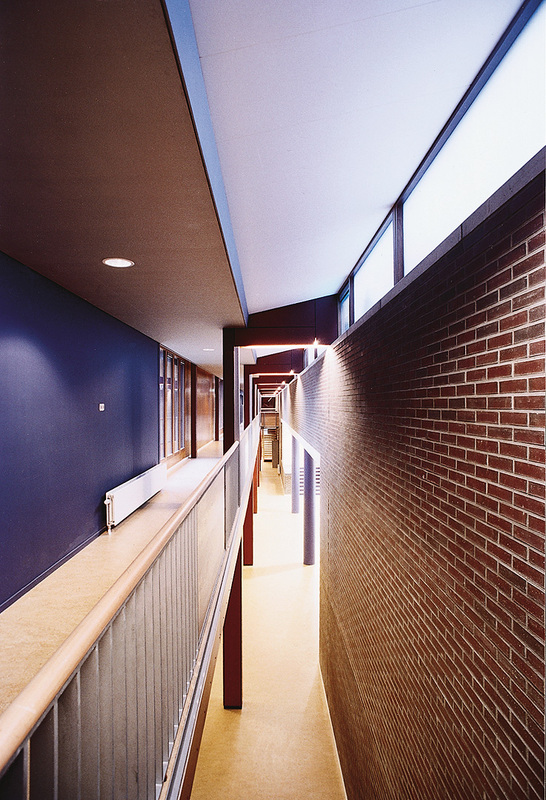 A long, centrally positioned corridor connects the two blocks with the other central functions and forms the backbone lined with spaces. 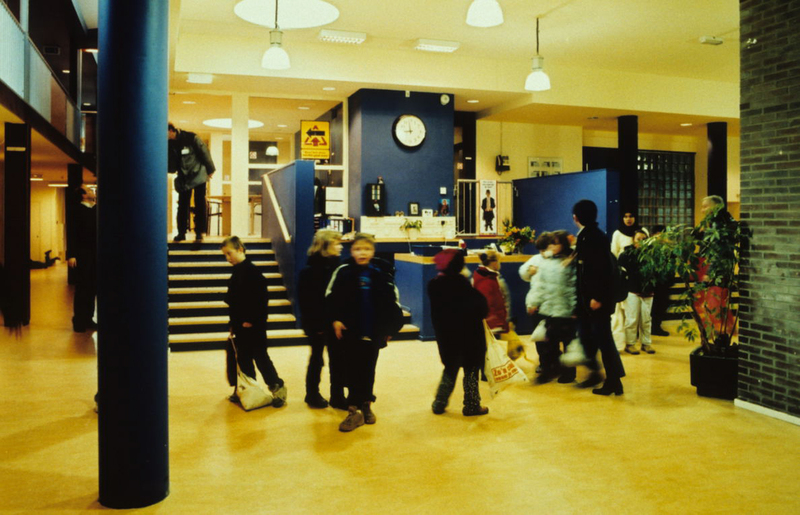 Outside of school hours, a number of multipurpose spaces inside the building can be used by neighbourhood groups. 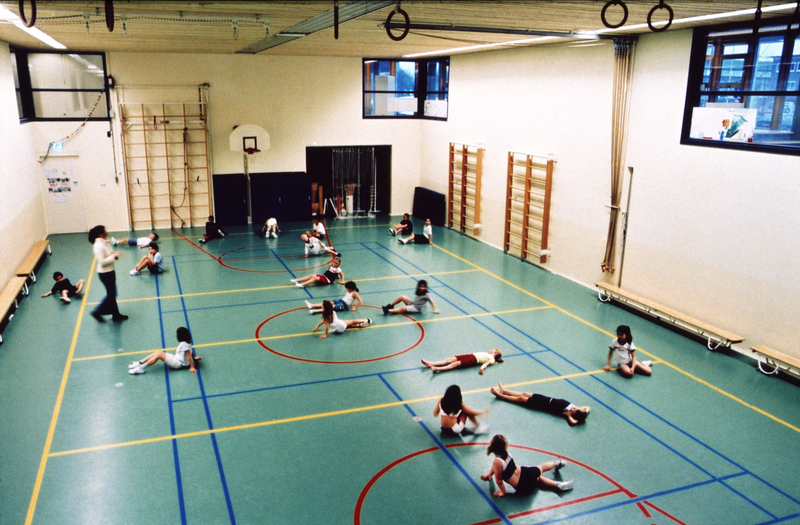 The gymnasium, for example, is available for sports clubs or theatre companies, and the conference and management spaces can be rented to outside parties. 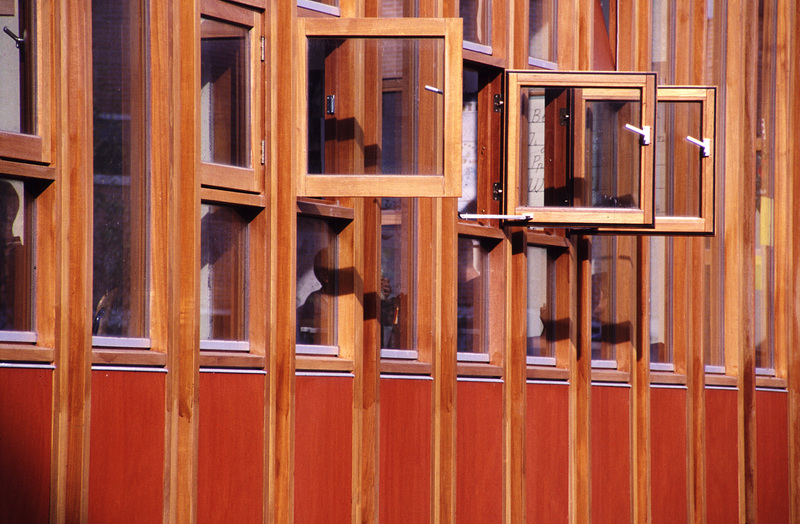 With the future in mind, various spaces are designed in such a way that they can change function.